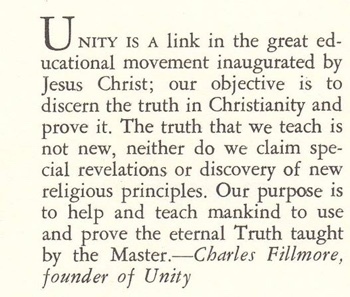 The mission of TruthUnity Ministries is to engage culture in the digital age, cultivating awareness, practice and commitment to the metaphysical teachings of Charles and Myrtle Fillmore. encouraging and supporting one another in the process of overcoming adversity and learning to live a consistent and fully expressed Christ-like life. Authenticity. We express an authentic purpose and consistent spiritual offering. Depth. We demonstrate high levels of commitment that leads to a powerful, transformative spiritual life. Simplicity. Our message and teaching is clearly defined and understandable. Organic. We are in creative alignment with other ministries who share the same vision and mission. partnering with ministers and ministries in their own mission as a "link in the great educational movement inaugurated by Jesus Christ." TruthUnity Ministries is a 501(c)(3) non-profit educational ministry established in the state of Texas on September 1, 2013 and recognized by the IRS as a non-profit educational ministry in July 2014. Click here for a copy of our Bylaws. In December 2017 TruthUnity applied for membership with Unity Worldwide Ministries. We rely on the spiritual Principle of Giving and Receiving for our support. Click here to see our financial reporting or to donate to TruthUnity. 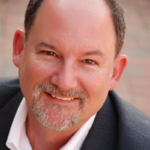 Mark Hicks is the founder of TruthUnity.net, a place for the study, practice and sharing of classic teachings of Charles and Myrtle Fillmore. 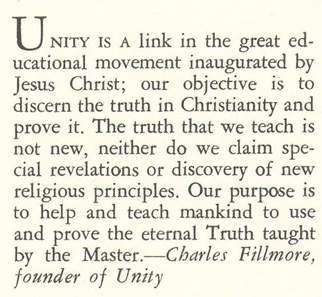 TruthUnity provides live classes and online audio and video streaming of many great Unity teachers and founders. The site also offers novel ways to study Unity's classic teaching through hyperlinking and multimedia. On an average day, over 1,500 people come to TruthUnity for 4-5 minutes each for inspiration, study and online learning. Besides developing TruthUnity, Mark is also on the board of directors for the Unity Urban Ministerial School. In 2011 he founded the Unity Church of Georgetown and was its Spiritual Leader for its first seven months, averaging 65-80 persons in attendance each Sunday. Married for 39 years, he and his wife Marika have two grown daughters. They live in Baltimore, Maryland.